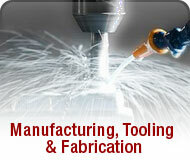 New Jersey's premier product engineering, design, and manufacturing firm. 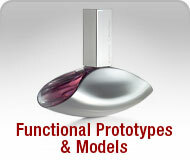 We are innovators in applying the latest technologies to bring your ideas to life. We've taken it from the napkin sketch to the Surgeon's hands….from a foam model to the store shelf. 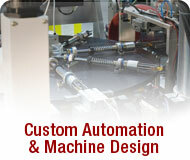 We have designed and built custom automated machines and factory robots that package and build assemblies from a multitude of parts, in seconds. Our clients come from the local New York, New Jersey and Pennsylvania area as well as across the nation and others from around the world. 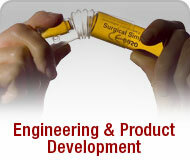 Contact us and discover the ways in which we can help you solve your engineering challenges. What´s an Inventor or anyone with a good idea to do?